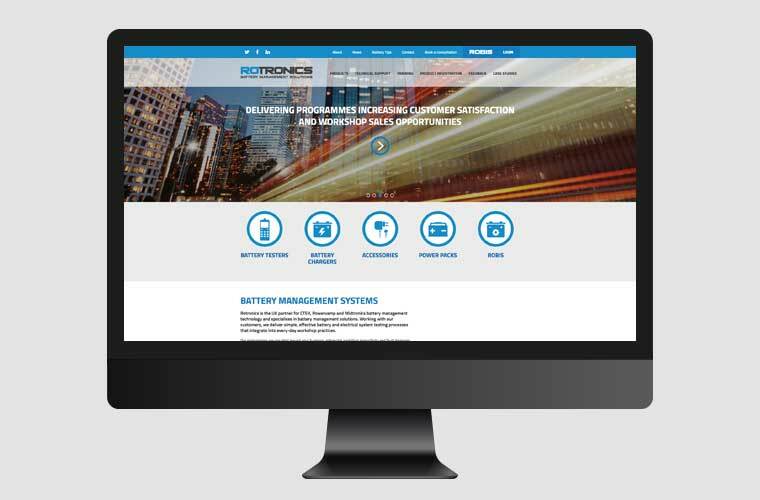 Rotronics are the UK’s partner for Midtronics and CTEK, which specialise in battery management solutions for a variety of different B2B customers. 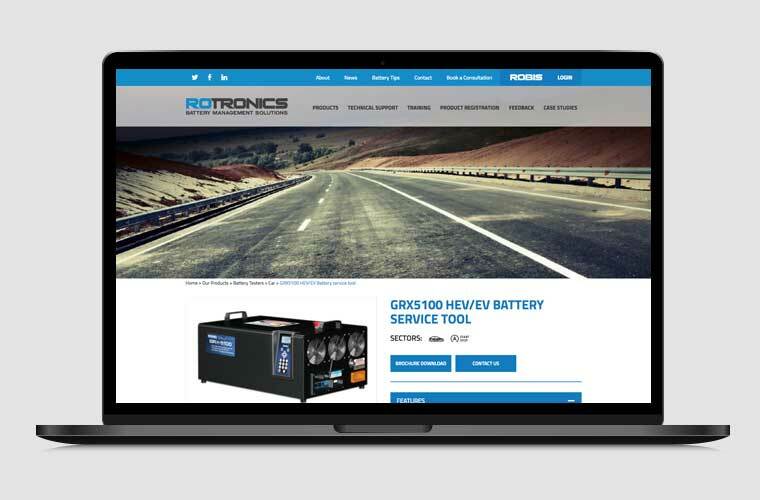 Rotronics organically came to us a number of years ago to modernise and freshen up their website. Working closely with us on their website and becoming familiar with the team, Rotronics later asked for help with their marketing collateral. The team’s monthly report explained the SEO work carried out and displayed ranking improvement, which later encouraged Techtron and Rotech, two of Rotronics associated companies joined us. Being the UK’s leading partner for both Midtronics and CTEK it became apparent that our strategy for SEO needed to focus on pushing rankings on these competitive brand terms. This would allow for Rotronics to be found organically for any searcher looking for these well-known names. Our first approach was to complete keyword research to find out what keywords people were searching for on Google to reach these brands. Based on these specific keywords, we created a dedicated landing page to capture the target audience who were searching for battery-related terms. The landing pages were optimised with relevant information, which soon saw an encouraging increase in search engine rankings. A blog about 'what you need to know about EFB's' achieved a ranking of zero, which means Google take a snippet and makes it a feature at the top of the page. The main areas on the site which caught a large number of visitors were the ‘Battery Tips’ section. Realising this, we added a clear, strategic call to actions on these specific pages to ensure we had the best opportunity to capture traffic. We also added a live chat on the website to provide a 2-way communication for users, by adding this, it ensured that the user could always find relevant means of contacting the company. Alongside SEO we have also ensured conversion tracking has been set up on the website correctly, this guarantees that no leads are missed on the website and we can tell which lead has come to the website organically or through paid advertising. Since working with Clear our digital presence has exceeded all our expectations. We are receiving new leads from the website all the time and it's continually growing.